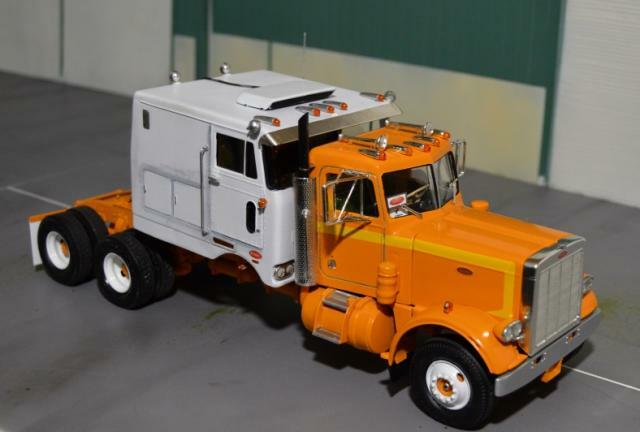 Most of my models are 1/24 or 1/25th scale based on commercially produced kits from AMT, Revell, Italeri and others that I modify with new cabs, hoods and bodies. 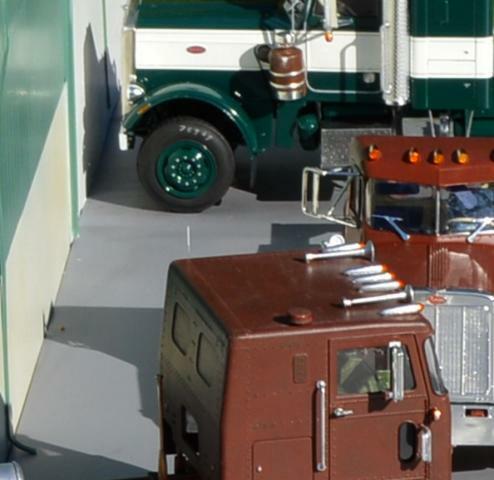 I utilize many aftermarket resin casters for parts and detail items. 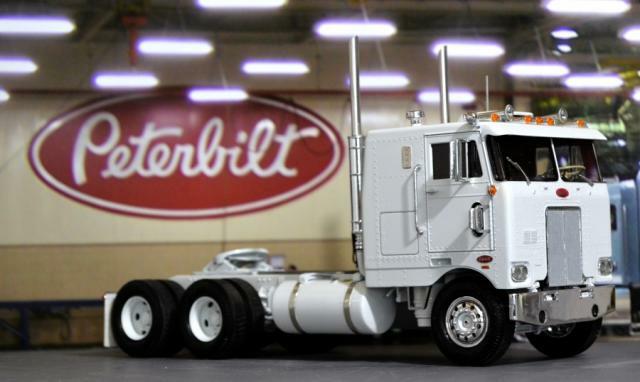 The majority of my builds are Peterbilts but I do build other makes so I don't burn out on my favorite. 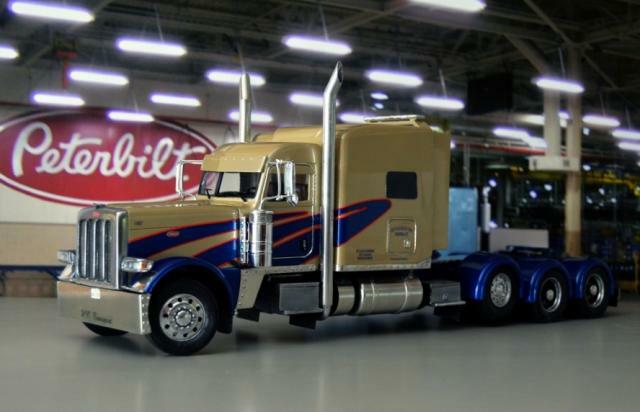 Welcome to the home for my model truck and Peterbilt collection! 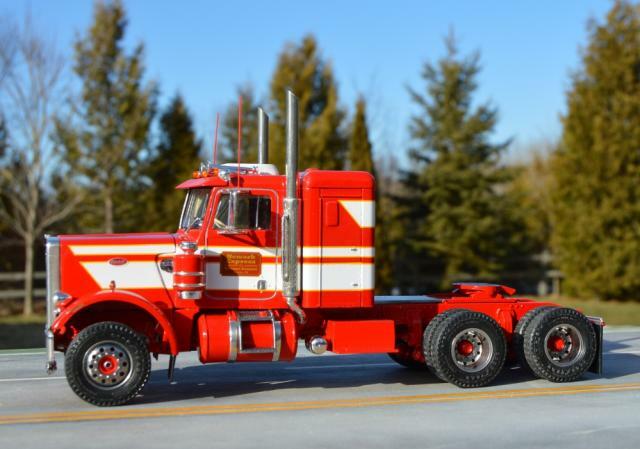 an AMT Peterbilt California Hauler model kit for Christmas in 1970. 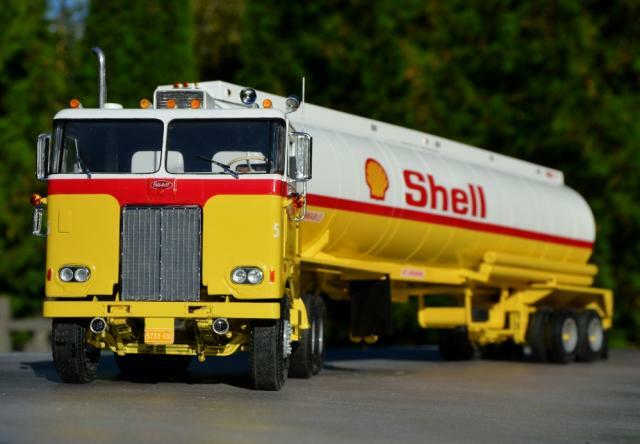 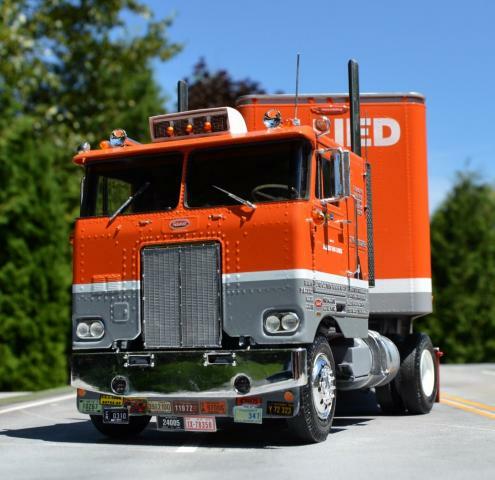 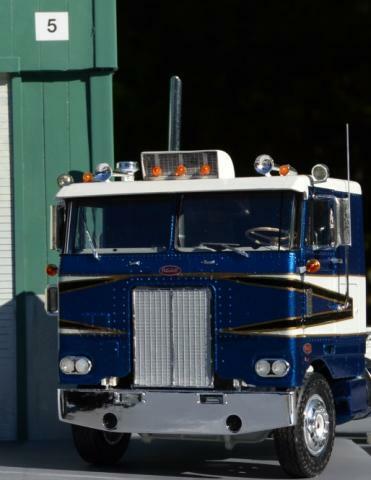 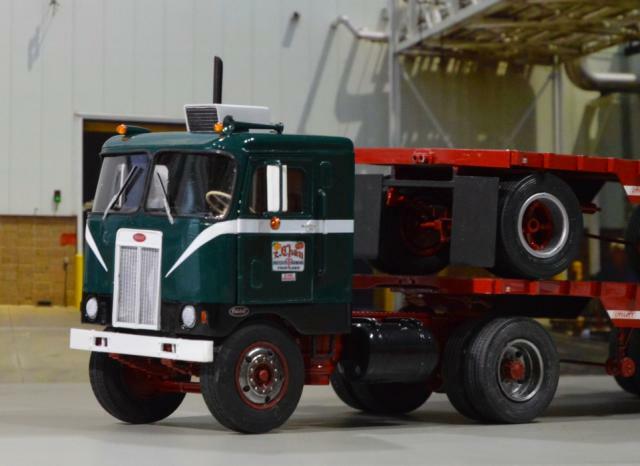 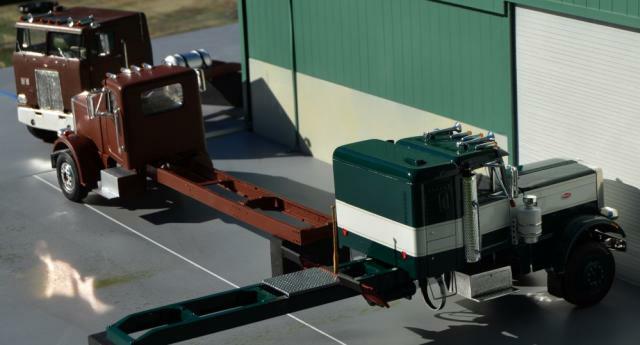 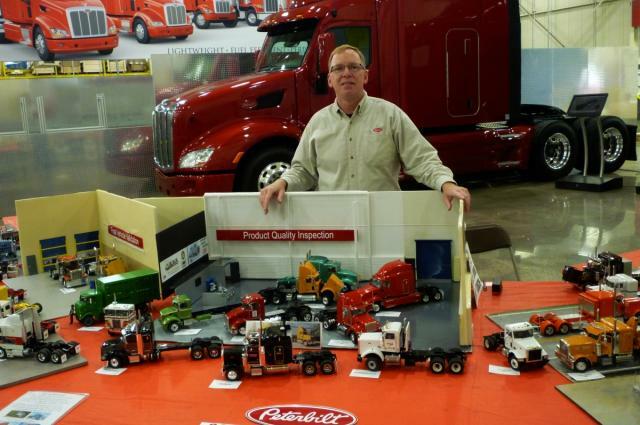 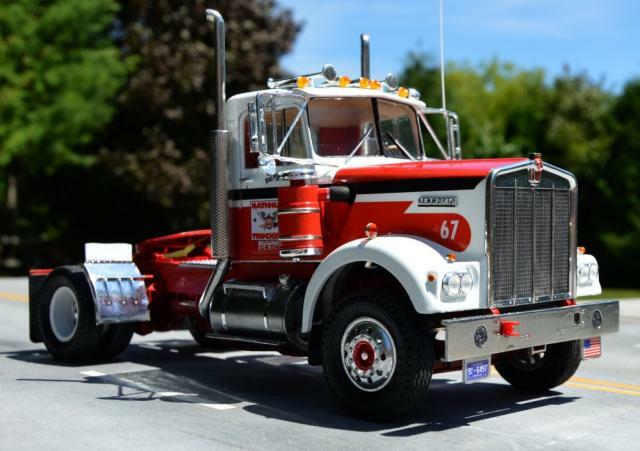 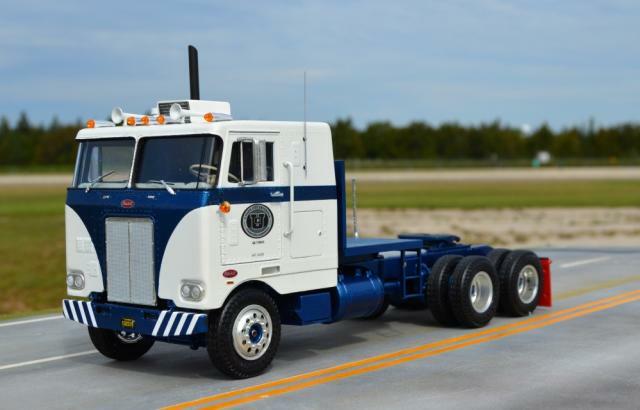 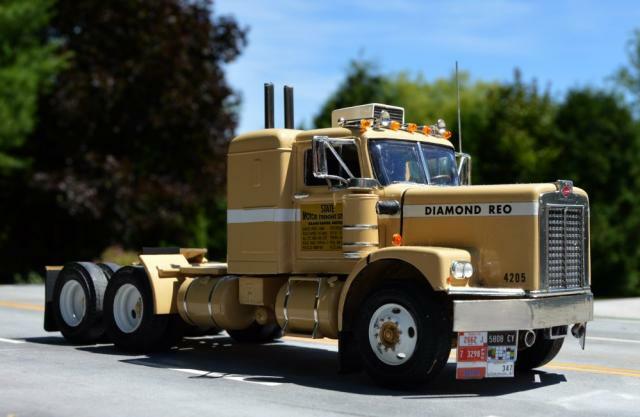 I've had the pleasure of visiting the old Peterbilt headquarters in Newark, California in 1975, the former Madison, Tennessee plant in 1976 and the Denton plant in 2005 and am honored to be part of the Denton open house each year with a large display of my models inside the factory. 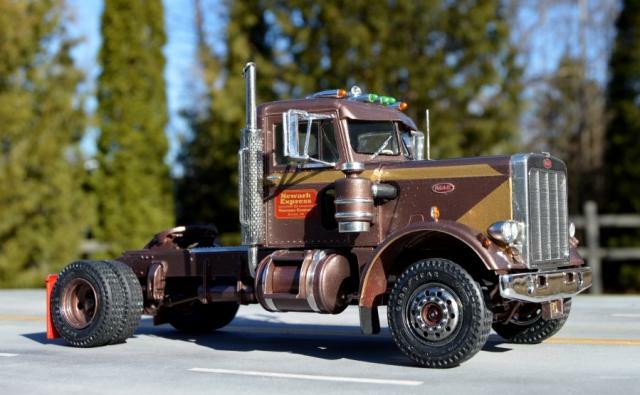 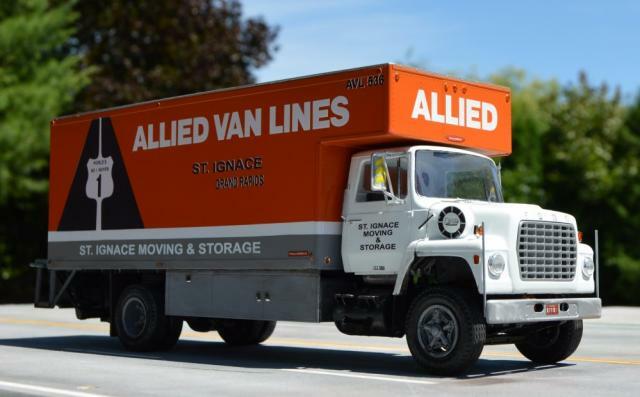 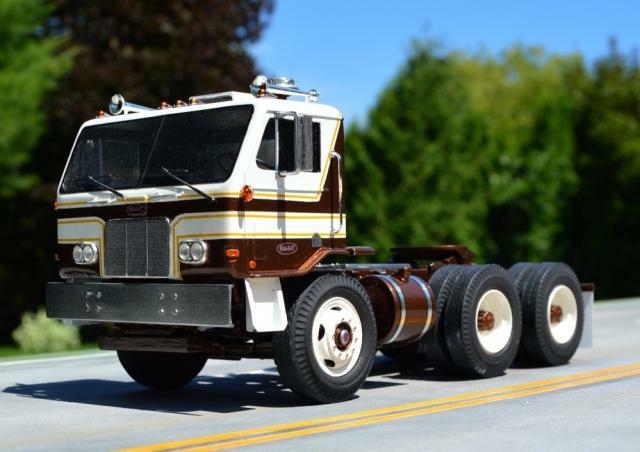 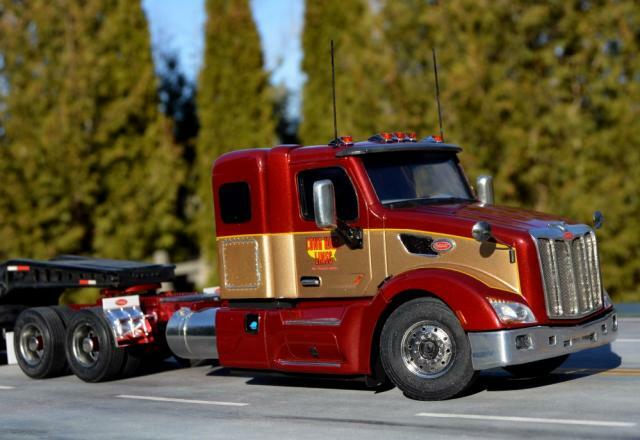 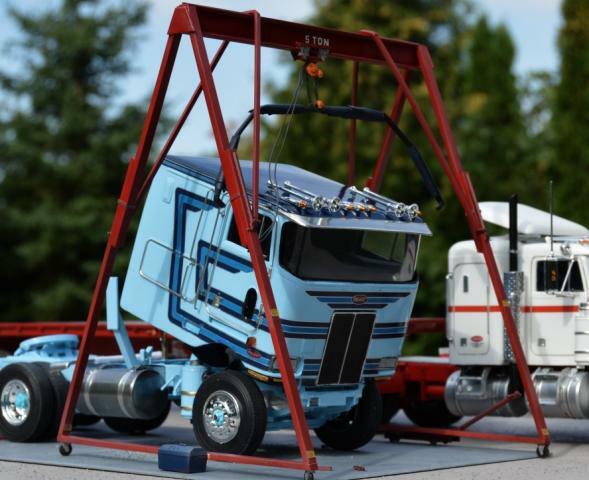 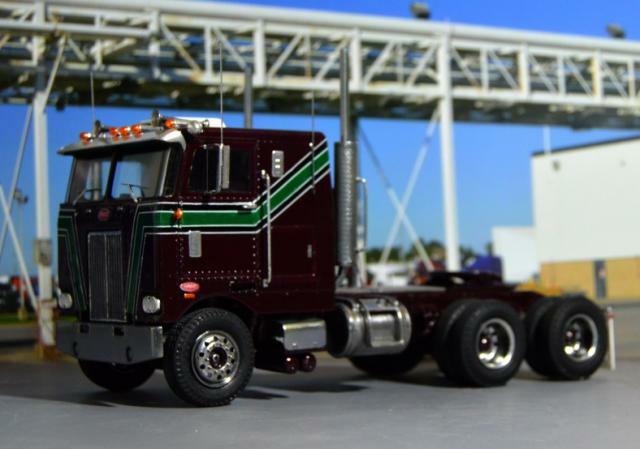 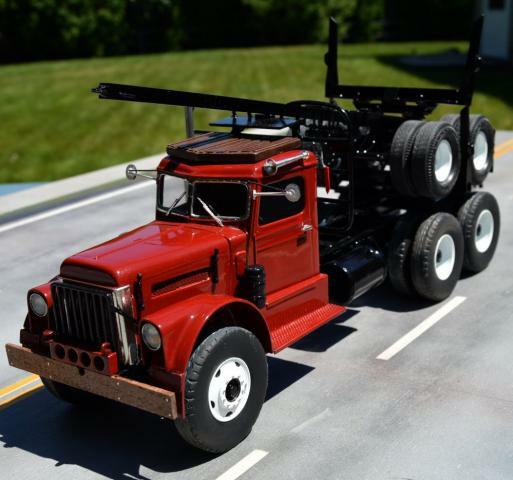 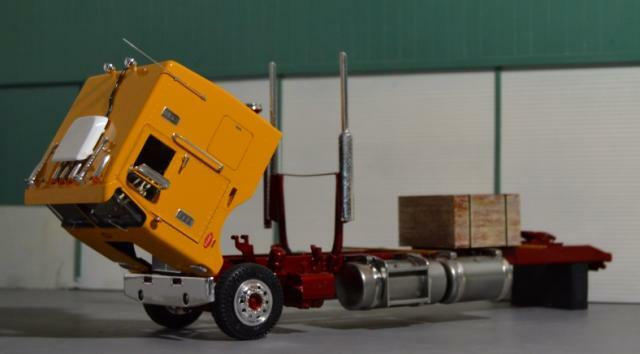 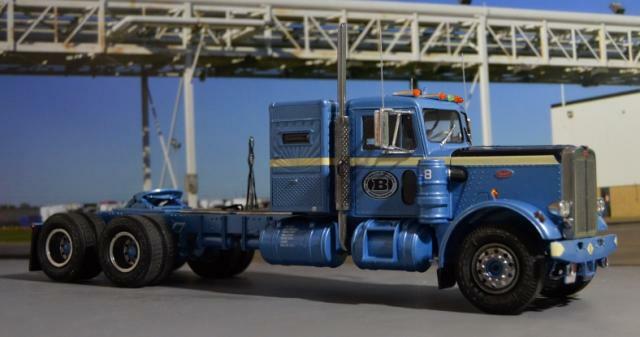 This site showcases my model truck hobby and my photograph and truck material collection. 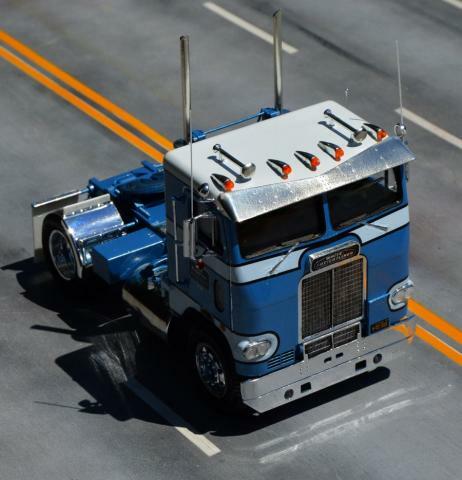 You will find plenty of reference material for building scale model Peterbilts and a few other brands too. 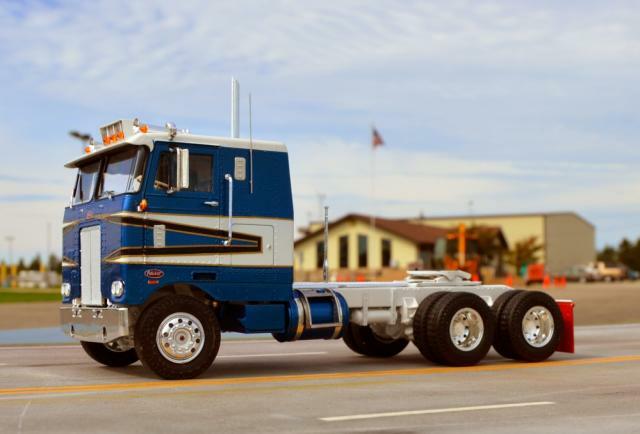 The buttons at the upper left take you to various pages of models, reference photos and photo albums. 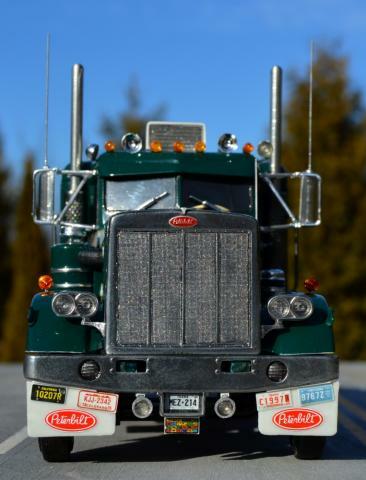 Material on TimsTrucks.com including on my Fotki album are copyright to TimAhlborn 2017 and may not be used for commercial purposes without written consent. 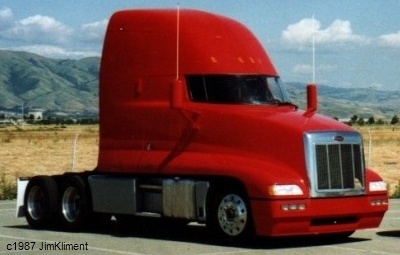 Non-commercial use is allowed with proper credit given when used. 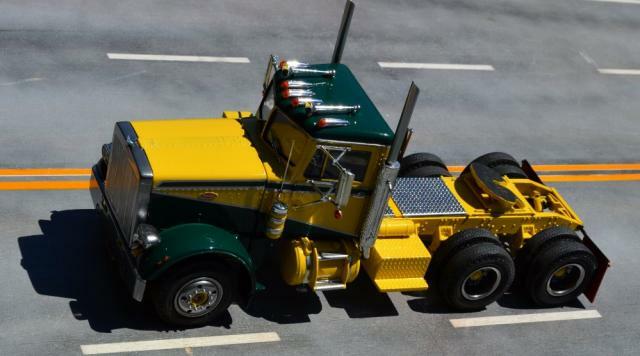 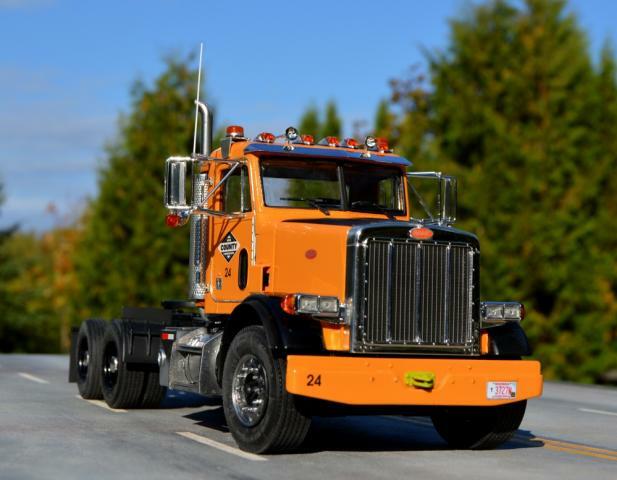 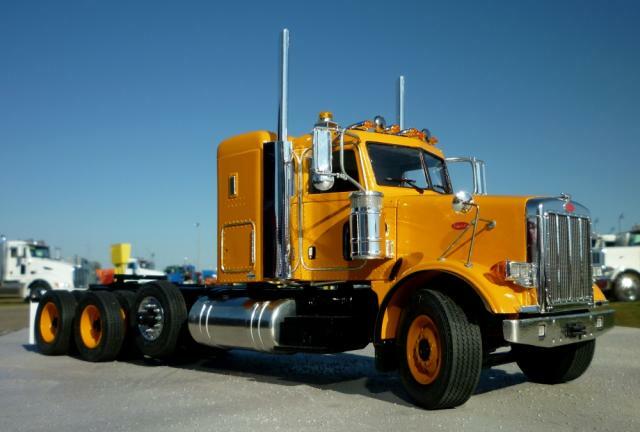 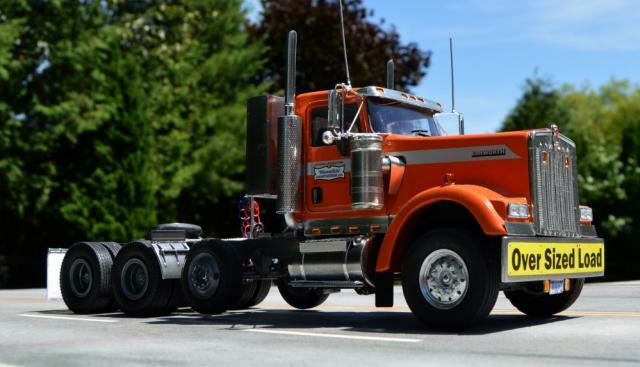 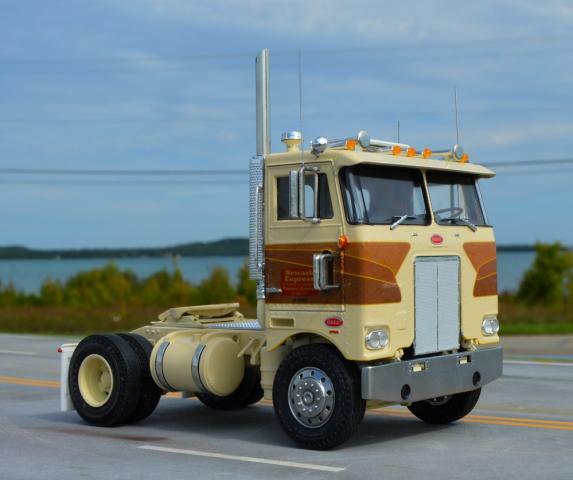 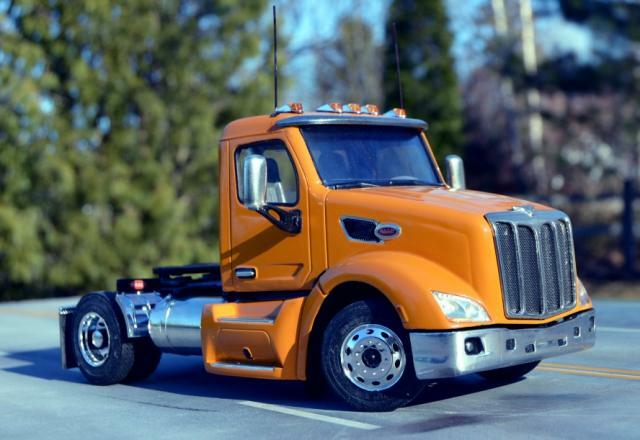 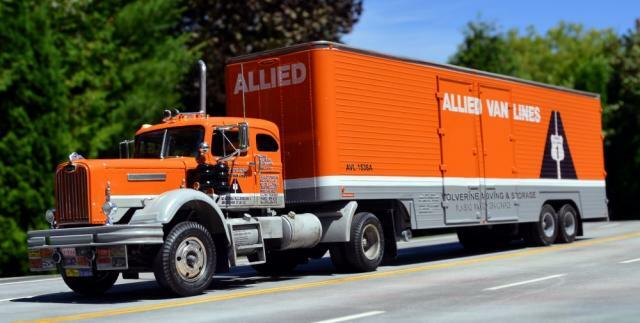 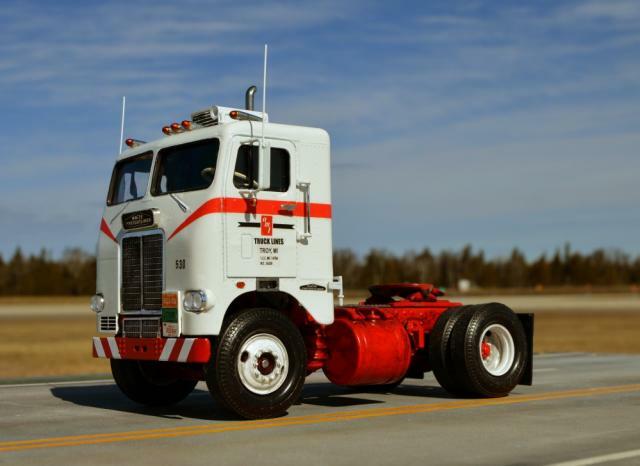 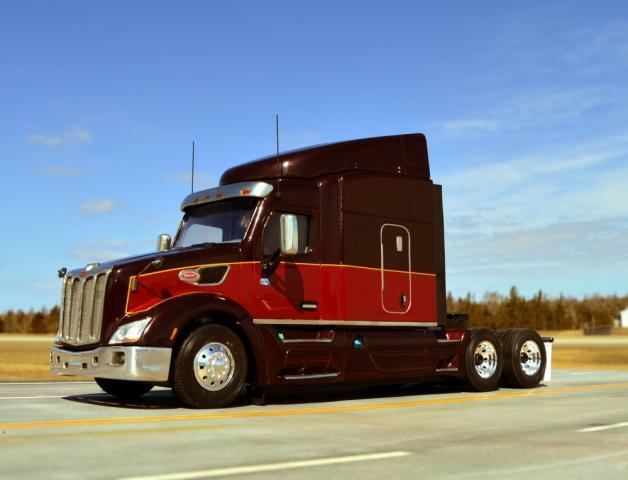 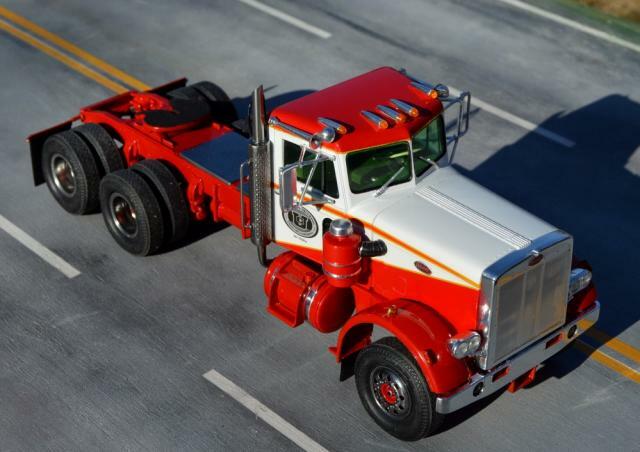 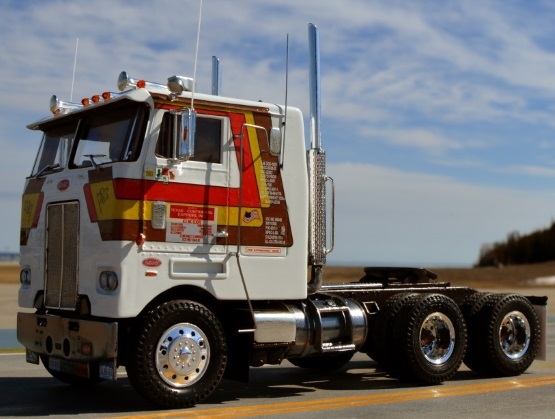 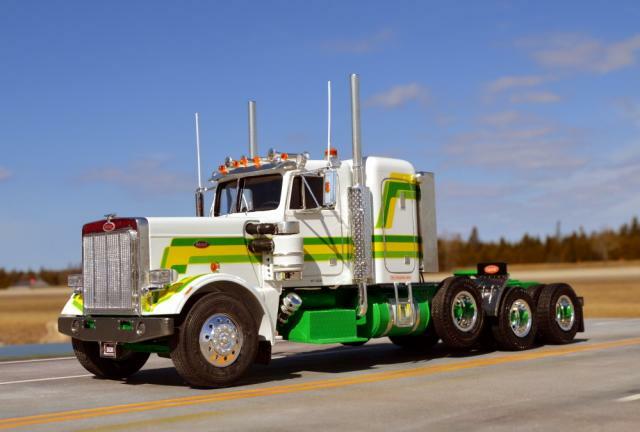 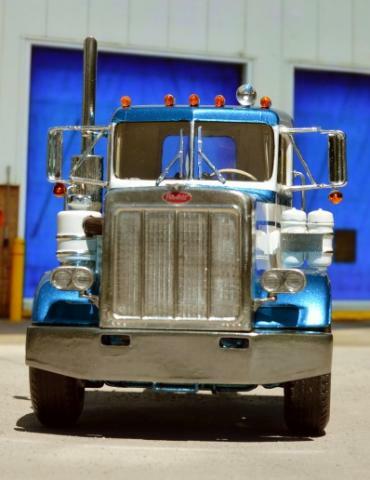 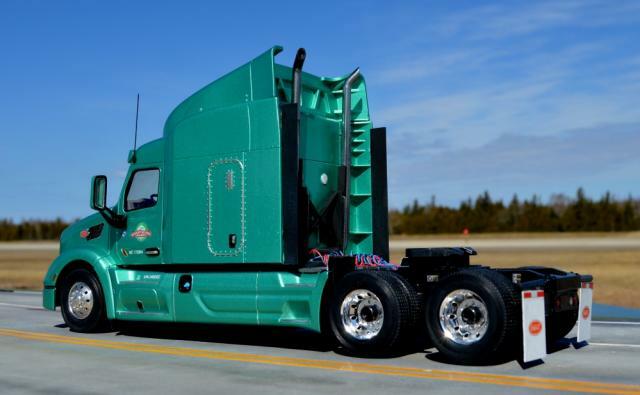 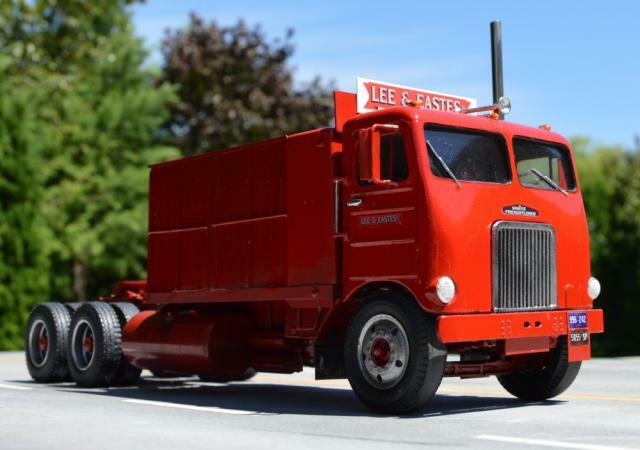 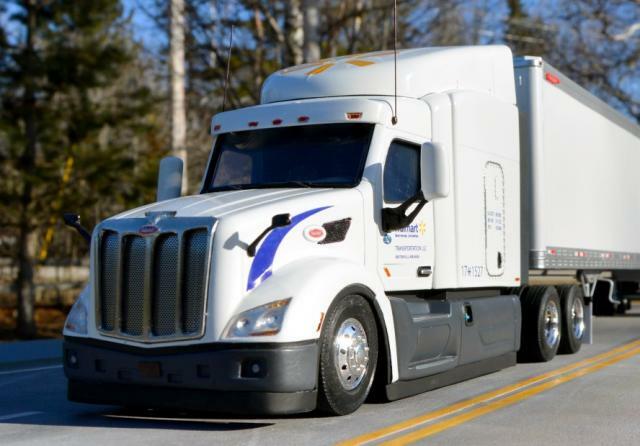 Some material is copyright to Peterbilt Motors Company and other photographers - their copyright material and trademarks are displayed for demonstration and reference only. 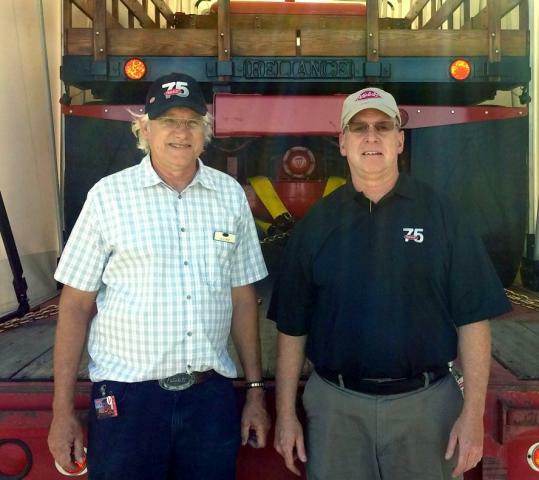 Jim Kliment and myself with Jim's baby, the 1940 334 stake truck inside the transport trailer in October 2015. 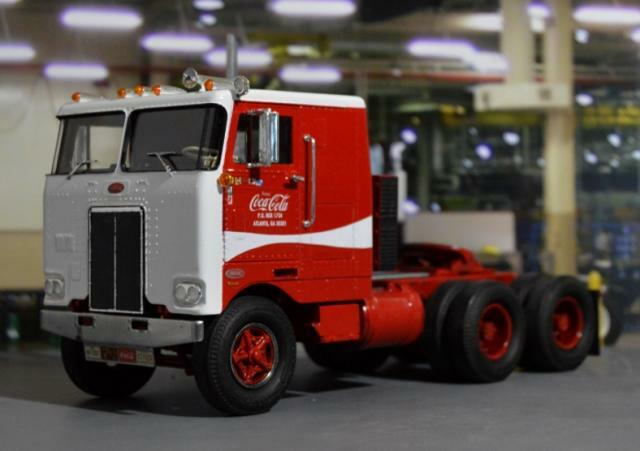 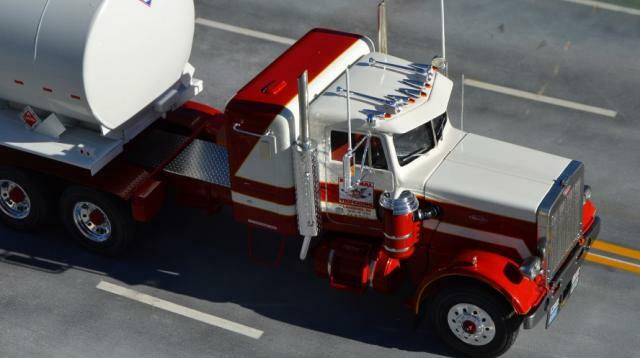 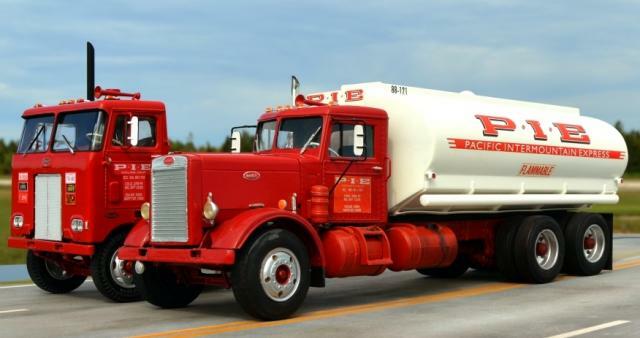 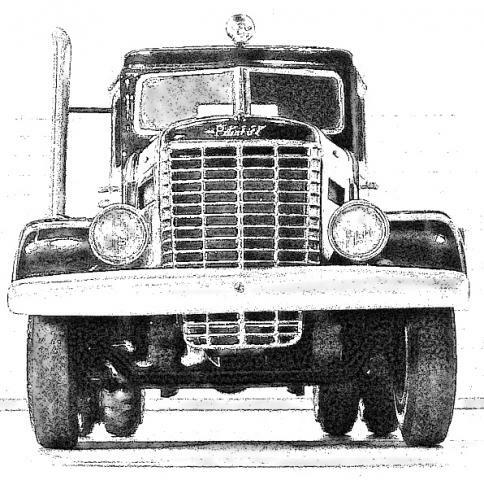 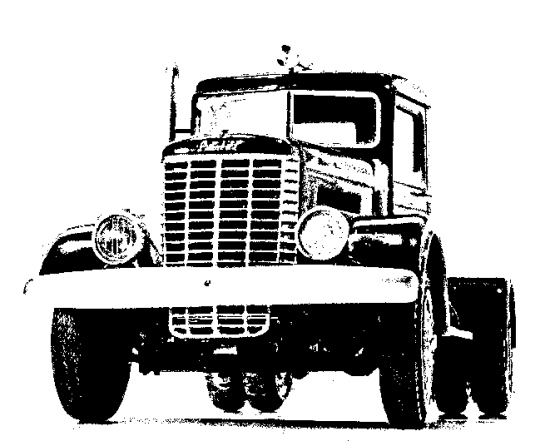 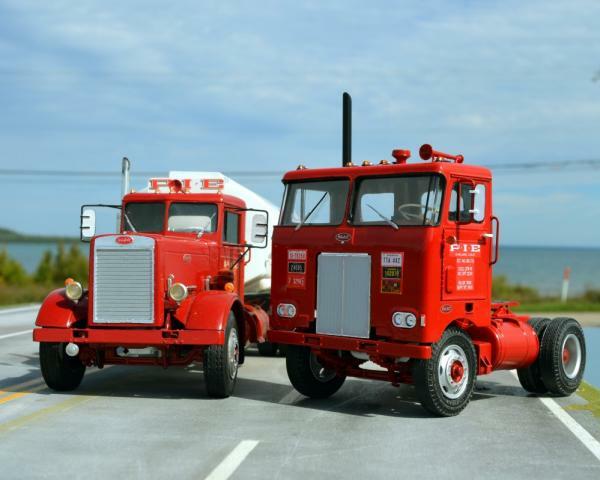 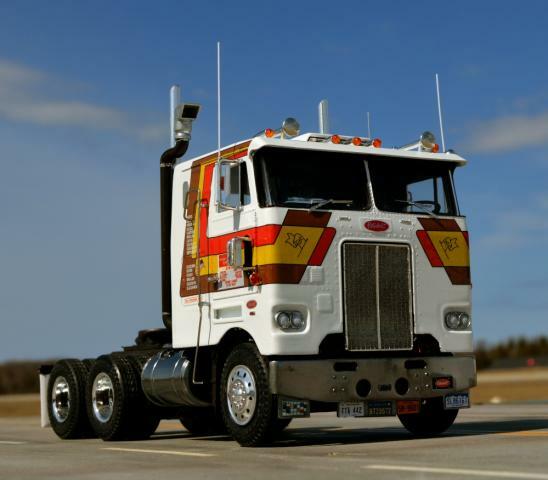 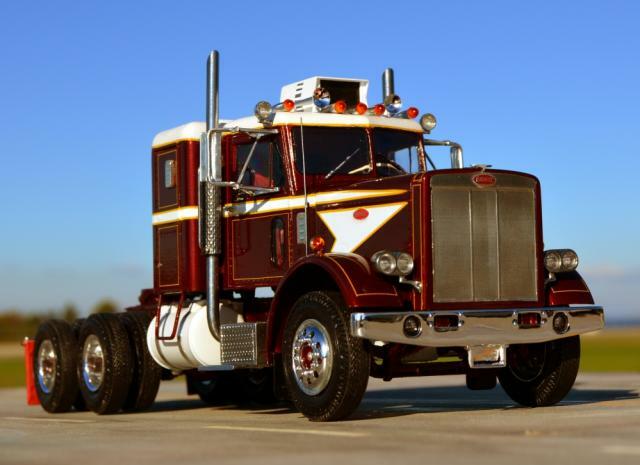 Are you a former Peterbilt Motors Company employee or employee of a dealer with Peterbilt memorabilia from days gone by? 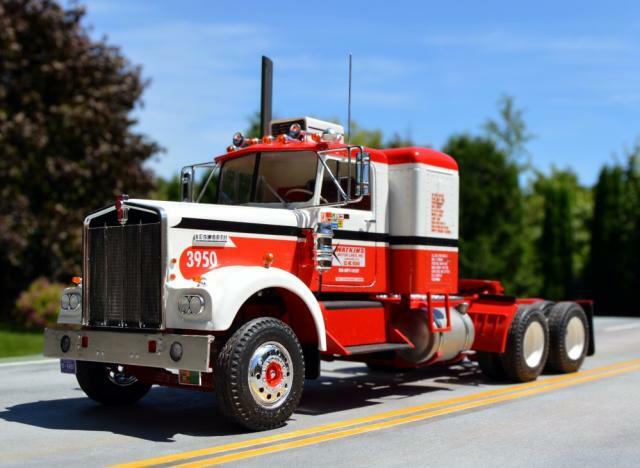 Be it brochures, nicknacks, photos, buildsheets or other items and you'd like to share your collection or are looking to dispose of it - Myself or Rick McClerkin are offering our services to scan your printed and photographic material to share with other Peterbilt fans. 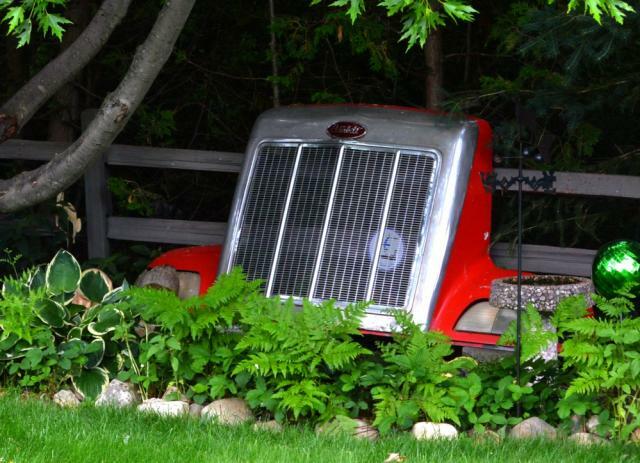 It doesn't matter how old or tattered, the idea is to save the material for future reference.